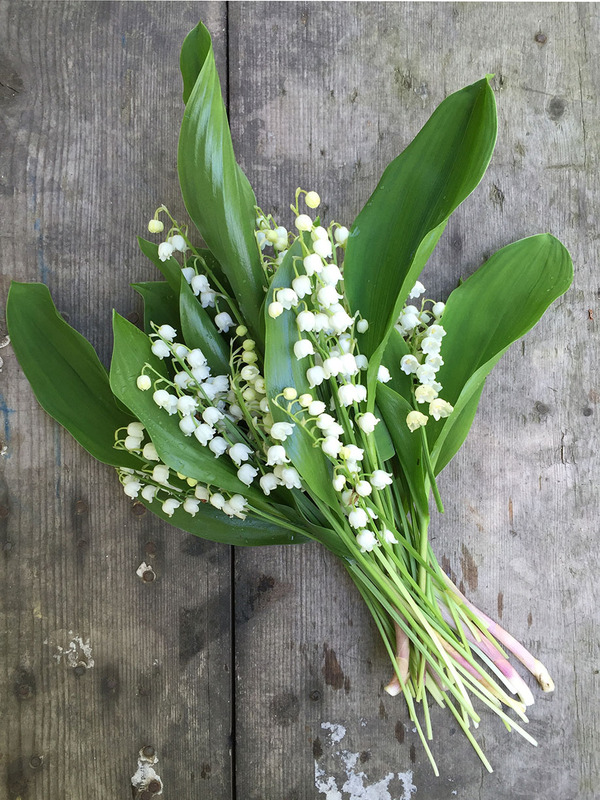 As happens every year in mid-April, the lilies of the valley are flowering in the woods, with one of the most fragrant flowers of the spring. I gathered a nice bunch to create a garland of ephemeral beauty that will retain its charm even once it is completely dried out. To better describe how I make the garland, I prepared a video tutorial with my smartphone, which I started using recently for the simple creation of films to support by blog posts. Thanks to the quality of the video cameras of the latest generation of mobile phones, it is possible to produce excellent films which I then edit on my computer or directly on my smartphone using dedicated apps (with my iPhone, I use iMovie). 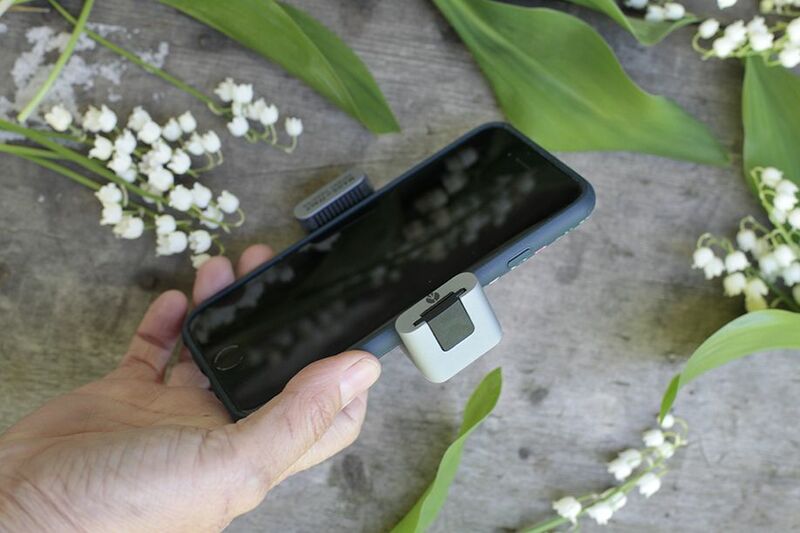 To make films, it is essential that the video camera is still during filming, unless you are following a subject in motion, and, especially if you are filming tutorials in which both your hands are usually busy, you need to have a specific smartphone accessory so that you can mount it on a tripod. 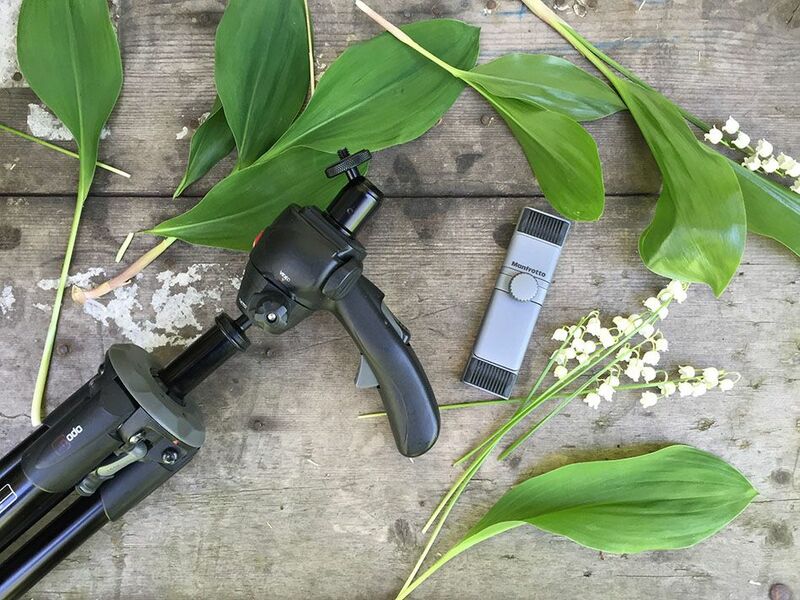 For my most recent videos, I tried out the Manfrotto TwistGrip, a highly innovative, all-purpose clamp that enables you to make the best use of your smartphone and combines several valuable features. Thanks to a special mechanism, you can reduce the size to make it more slimline and manageable; this compact form enables you to carry it comfortably in your pocket with your smartphone. Moreover, for filming in low light conditions or to enhance the play of light, you have the option of mounting a small LED light on top of the TwistGrip, using the special light attachment. For more mobile filming, I mounted my TwistGrip directly on my Compact Xtreme monopod; for all my tutorial filming, however, I screwed the little ball head of the monopod onto the tripod. And now I’ll explain how I created my wonderfully fragrant garland! Get hold of a base or weave the longer branches of climbing plants, such as clematis, wisteria, kiwi or Virginia creeper, or whatever you have available. 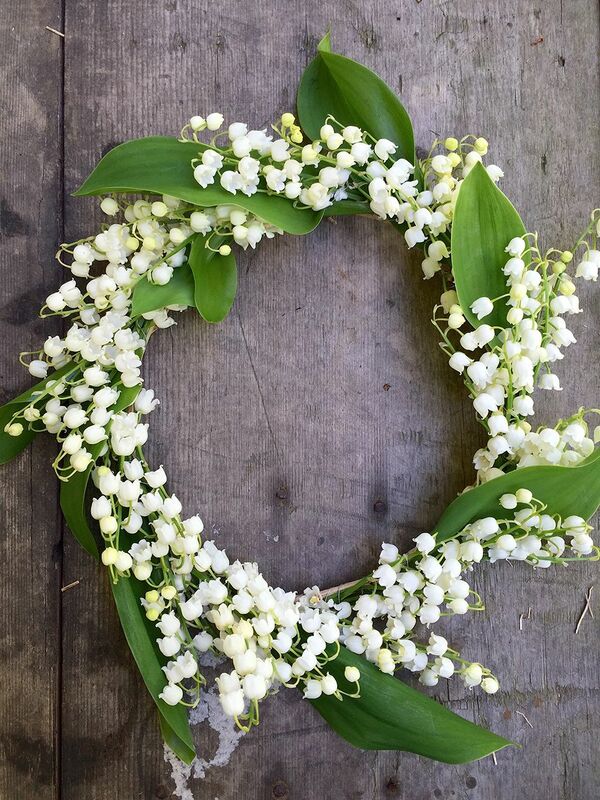 To create a garland of lilies of the valley, first you have to prepare various little bunches of flowers by tying together at least three stems with the wire. Always fix the first bunch to the base with the wire and continue, from the top and in a clockwise direction, or anti-clockwise if you are left-handed, tying on the little bunches of flowers making sure the flower heads overlap with the stems to hide the wire. Keep going until you have completed the circle.